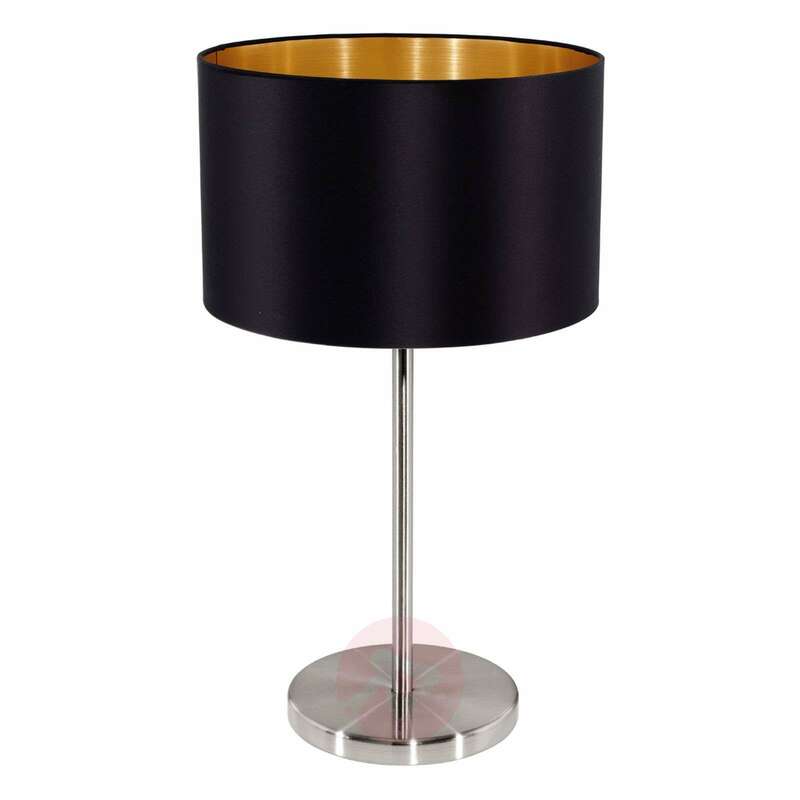 The Lecio table lamp features a refined fabric lampshade with a gold interior and a black exterior. 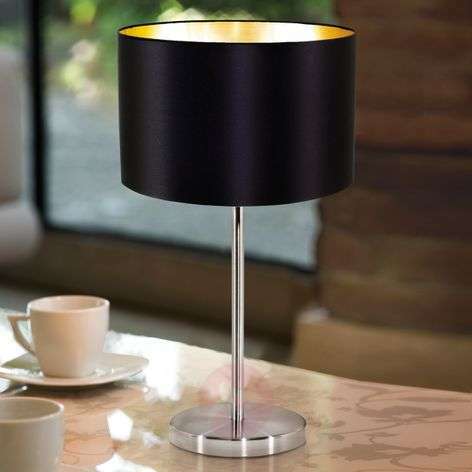 Both the base and stand glisten in a satin nickel finish. The light measures a total of 42 cm. It represents a stylish accessory for the bedside table or chest of drawers, and helps to create atmospheric additional lighting.